Is salmon good for you? Here's how to cook and prepare the pink fish. The final verdict: Is salmon actually good for you? Find any healthy eating plan online and you’ll probably find a mention of salmon. After all, the pink fish is commonly touted as one of the healthiest super foods out there and it’s one that will definitely make your personal trainer’s heart sing. But while we all know it’s a meal prep staple that is undoubtedly good for our heart and our overall wellbeing, we’d be lying if we said we were completely sure about why we need it or just how often we need to eat it to reap the benefits. On top of that, there’s also the questions we have about how to prepare it and what to serve alongside it. If you’re a little puzzled about salmon like us and you’ve still got a few questions – we can help. 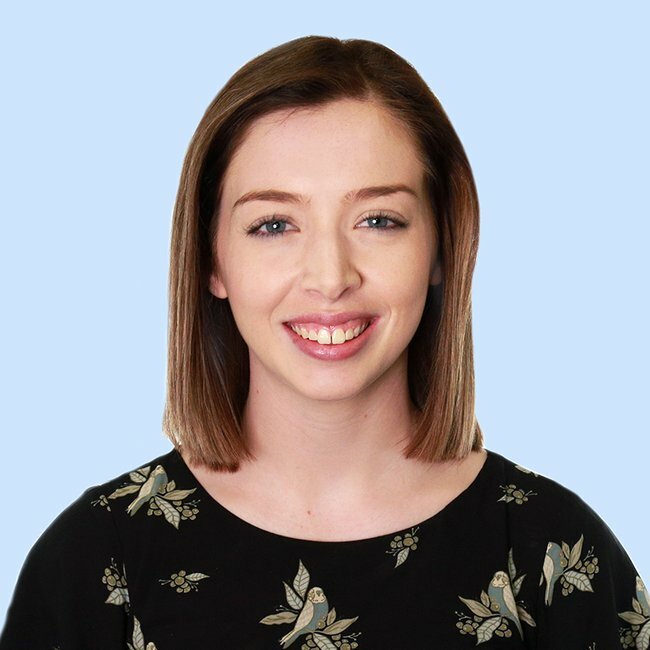 We asked nutritionist and chef Zoe Bingley-Pullin and Accredited Practising Dietitian Rachel Scoular to take us through everything we need to know about salmon. Is salmon good for you? What are the health benefits? Salmon is pretty great for overall health because it comes with a number of varying health benefits. Often referred to as a super food, salmon is one of the richest natural sources of omega-3 fatty acids. “A single serve of salmon (a 100g fillet) provides you with your entire daily recommended intake of essential fats, which has been linked to multiple health benefits,” Rachel told Mamamia. Salmon is a superfood. But what exactly are the health benefits of eating it? Image: Getty. This is important to note as our body cannot make its own supply of omega-3 essential fats. "Omega-3 fats help reduce the risk of cardiovascular disease, may assist mood and brain health, may help to reduce inflammation and support overall wellbeing," Zoe told Mamamia. "It is also a source of protein, which is important for tissue and muscle repair, stabilising appetite and providing resources for the body to synthesis neurotransmitters," she continued. Zoe also added that salmon offers a prominent source of vitamin D, vitamin A, vitamin B12, potassium, iron and iodine, making it a very nutrient-dense food. Salmon is also a great food for maintaining heart health. The fats found in salmon can help reduce the risk of blood clotting, decrease blood pressure and delay the build-up of cholesterol in coronary arteries. 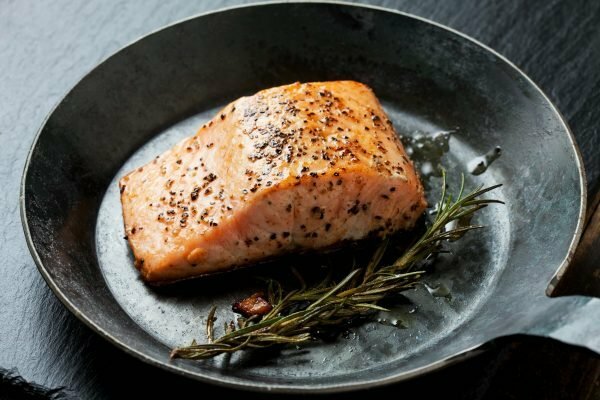 How often should I consume salmon? So, it&apos;s clear that salmon is jam-packed with loads of appealing health benefits. But how many times should I be eating it a week to reap these all-important benefits? Nutritionist and chef Zoe recommends aiming for two serves of fatty fish, including salmon, per week. Dietitian Rachel agrees, recommending two to three serves of oily fish a week. "Along with salmon, you might look to include other sources of omega-3 including sardines, canned tuna, mackerel, barramundi or omega-3 enriched foods, such as eggs and some types of milk and bread," Rachel told Mamamia. If these foods don&apos;t appeal, Rachel suggests considering a fish oil supplement – however, don&apos;t forget to consult with your GP beforehand. 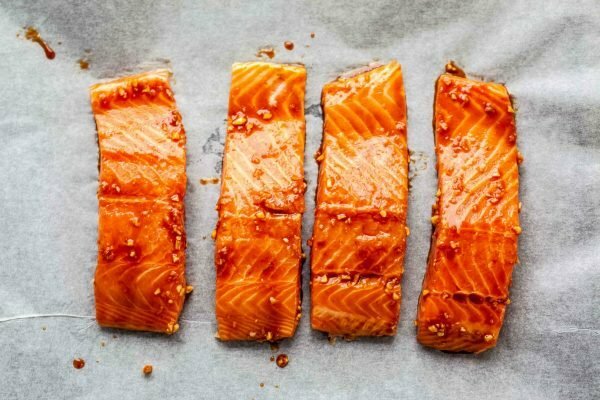 What&apos;s the best way to prepare and cook salmon? There are loads of different ways to prepare and cook salmon. From pan-fried to baked, it can get a little confusing – so we asked Zoe and Rachel which methods they recommend. 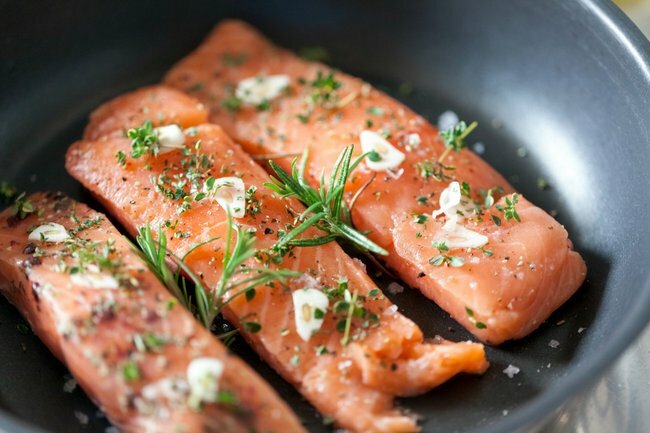 "Grilled, poached, steamed or baked is the healthiest way to enjoy salmon as this uses less oil and reduces the chance of burning the fish," Zoe told Mamamia. Rachel also recommends grilling, baking, shallow frying and steaming salmon. She also recommends using extra virgin olive oil to season the salmon or to coat the pan when cooking to provide a serve of healthy monounsaturated fats. "Feel free to add salt and pepper, lemon juice and fresh herbs like parsley or dill to really make the flavours sing," Rachel said. But there&apos;s just one method of preparing salmon that Rachel suggests leaving for more special occasions. "Cooking the salmon fillet in a pot of fat or oil at a low temperature is known as Salmon Confit," she explained. "It&apos;s probably the only form of cooking I wouldn&apos;t encourage for regular use, as it is quite high in fat and kilojoules. Best to save that for special occasions." Which sides should I choose to go with my salmon? When selecting sides to eat alongside salmon, Zoe recommends going for vegetables and salad to make the most out of the healthy fats in salmon. "Make sure to eat salmon alongside some vegetables or salad as the fats are needed to absorb the fat-soluble nutrients and antioxidants in the vegetables and salad," she explained. Alongside veggies and salad, Zoe recommends pairing the salmon with a source of complex carbohydrates, like brown rice, quinoa, freekeh, buckwheat pasta, sweet potato or legumes. Adding a dressing or sauce to your salmon is where things can leave healthy territory. To keep your meal healthy, Zoe recommends opting for something light like tzatziki or even just a simple squeeze of lemon. Founder of @healthyhappyhabits Rachel also provided Mamamia with some salmon meal recommendations. "Salmon goes great with Asian inspired flavours (soy, sesame, hoisin, chilli), serve with bok choy, broccolini, snowpeas and capsicum," she said. "Alternatively, barbecue the fillet and top with a salsa of cherry tomatoes, shallots, lime juice and mint and serve with some brown rice," she continued. "If you&apos;re after a classic dish, bake the salmon with zucchini, leek, dill and lemon and serve with potato." Should I choose wild, sustainable or farmed salmon? A 2016 Four Corners episode exposed the reality of farmed salmon, leading many viewers to vow to never buy farmed salmon again. We asked Zoe about whether we should be selecting wild, sustainable or farmed salmon at the supermarket. There&apos;s no denying it – salmon is undoubtedly good for us. Image: Getty. "In terms of selecting salmon, according to the Marine Conservation Society&apos;s Sustainable Seafood Guide, farmed salmon, which is also known as Atlantic and Tasmanian is not a sustainable fish selection and we should be opting for wild caught Australian salmon," Zoe told Mamamia. "In terms of the nutritional differences between wild and farmed salmon, comparative studies have suggested omega-3 content is usually higher in farmed fresh salmon but contaminants may also be higher," she continued. "However, fresh wild salmon is more expensive and harder to find than farmed and if price is a barrier, it&apos;s better to be consuming some salmon rather than none." When selected tinned salmon rather than fresh salmon, Zoe suggests looking out for wild Alaskan and sustainably caught on the label. There&apos;s no denying it – salmon is undoubtedly really, really good for us. Pair it with the right sides and dressings and you&apos;ve got a healthy, beneficial meal. Now go forth and get that omega-3, friends. You can read more about The Marine Conservation Society and the Sustainable Seafood Guide here.